Stocked up with lots of gorgeous produce? 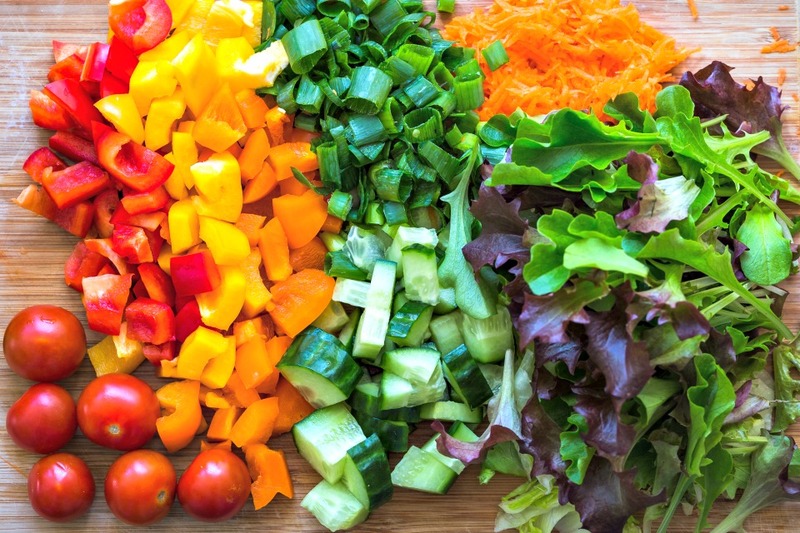 Make a chopped salad with in-season veggies like carrots, spring onions, peppers, tomatoes, cucumbers, lettuce, fennel, kohlrabi, radishes and more! Top it with this quick and easy dressing filled with summer’s freshest flavors. Enjoy! Slice bell pepper and remove seeds and membranes, then coarsely chop.